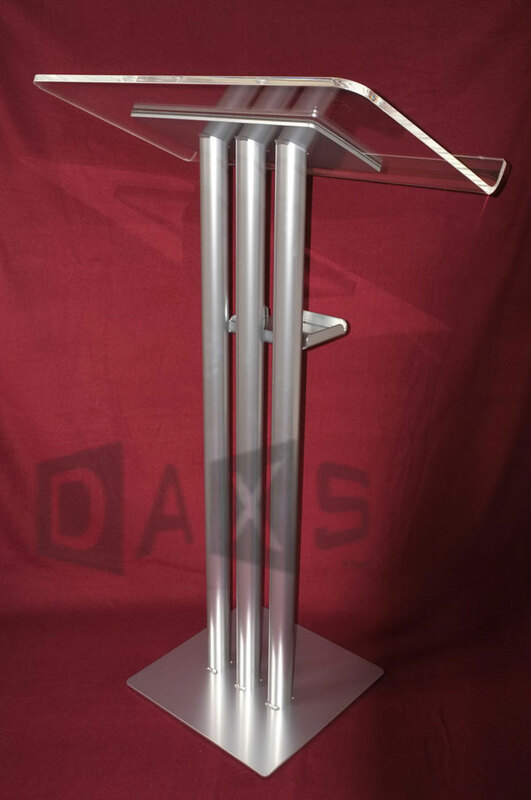 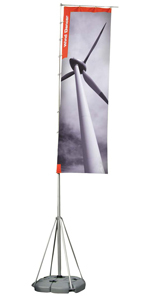 Be seen with this 5m high telescopic flag stand! 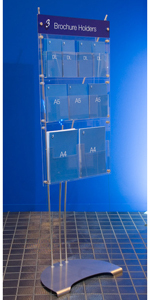 The moulded plastic base can be filled with water or sand for stability. 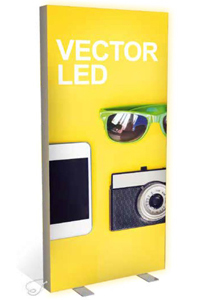 Complete with 1m x 3.5m max dye-sub printed polyester graphic (artwork required) and carry bags.